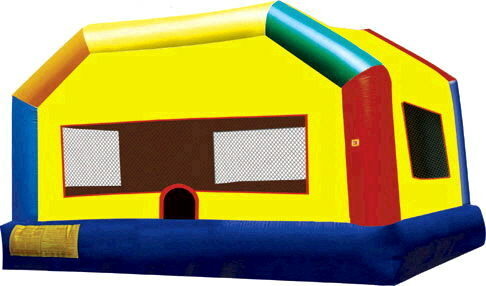 This extra-large Fun House gives an extra amount of bouncing fun for any event. this super bounce house provides more than 300 square feet of pure bounce, plenty of room for participants to jump their way through the day. * Please call us for any questions on our inflatable fun house bounce xl rentals in Cornelius NC, Lake Norman, Mooresville, & Davidson, North Carolina.